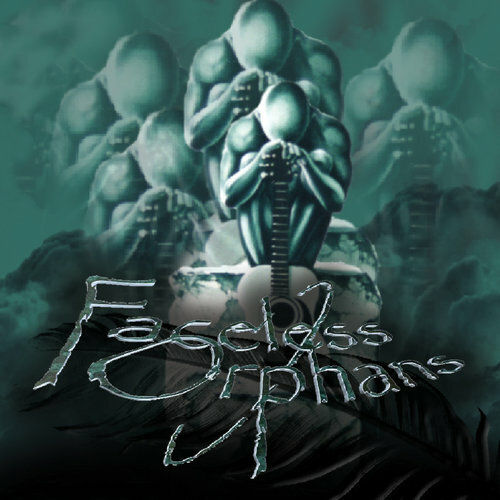 Faceless Orphans – Faceless Orphans – Album Review | The Ark of Music – The best music in the world…you never knew existed. If the name doesn’t grab you, perhaps the album artwork will. Hailing from Rouyn-Noranda in northern Quebec, Canada, the gods of rock were made pleased when five mutual friends—only two years ago—decided to start a rock band together; known as, Faceless Orphans (FO). Sacred Song contains a melody, acoustic guitar, and vocal harmony which bring to mind Jar Of Flies-era Alice In Chains. The track successfully integrates acoustic and electric guitars, which as you may or may not be aware of—is no easy feat. I Guess opens with soft, ambient acoustic guitar chords being picked over the sound of a cold wind. Once again, the track gets electric quick (at about 1:07). The integration works, and creates the kind of sound-dynamic that makes fans become fans, without even realizing what has happened. Be sure to stick around for the tight solo at 2:22. Falling Down The Grave sounds like solo-era Ozzy & 90’s era Collective Soul were forced into the studio together. It’s a wild ride with more of that tempo/intensity contrast that FO are—by this point in the album—clearly incorporating as an official feature of their sound. It works. Tears Of Glue….DUDE! Just listen. More epic tempo & dynamics contrast. More dope riffs, and I love how the drums were played, mic’d & mixed. Notable effort by Marco Lamarche; it’s just not easy to stand out on drums. As a whole, the track has a very punk, Goldfinger-esque sound. Great track, very fun. By it’s 10th and final track, the album is still rock’n’roll—though it has successfully bounced around within that mother-of-a-genre—landing on some combination of contemporary and 70’s dream-rock, to conclude with the ambient and ethereal, So Much Real. The respect paid to the acoustic guitar’s role in rock music on this album is fantastic. It takes guts and talent to pull it off, and it certainly happened on Faceless Orphans‘ self-titled album. That said, this is absolutely an electric album, and a good one. From front to back, the album is packed with riffs, harmonies and melodies which pay homage to the greats of the genre (Ozzy, ZZ Top, Alice In Chains, and others.) On top of that, the fellas of FO took their time with each song, letting them rise and fall organically, no rushing for a 3-minute finish—nor stroking the ego by staying too long. The drums are crisp and unique in their influence. The guitar riffs are solid and incorporate a tasteful amount of wah and whatever else you rock-heads may require. BELOW: Listen to Faceless Orphans’ self-titled album, and connect with their website and social media platforms. Please support Faceless Orphans by visiting them online, and playing, downloading, and/or purchasing their music. And, as always, thank you for supporting real music!